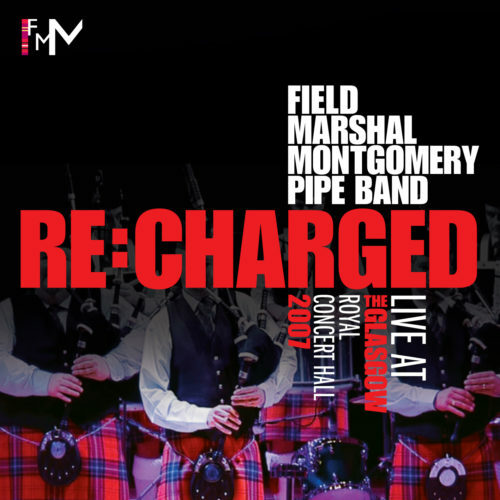 Billy Maxwell, President of Field Marshal Montgomery Pipe Band and the band’s founding Pipe Major, died on 21st November 2013. 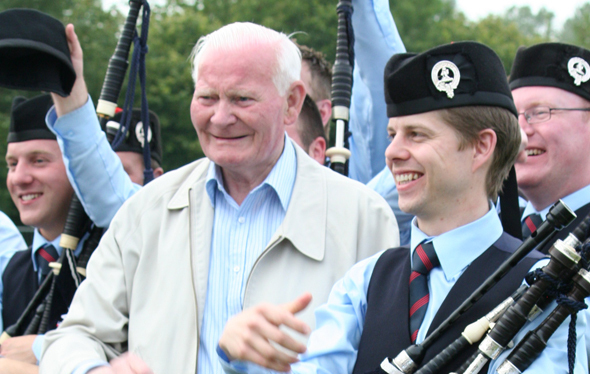 Billy was a giant of a character in piping in Northern Ireland and had a major influence on the development of the pipe band community across the island of Ireland over a number of decades. Billy, along with a group of friends, helped establish FMM back in 1945. He was part of the group of lads who wrote to Bernard Law Montgomery after the war to seek permission to use his name for a new pipe band they wished to start in the light of their new found leisure time! Billy did everything he could to build up the band and to support it through challenging times – he even mortgaged his house to help buy the first set of uniforms! I first met Billy around 1970 and received lessons from him for a number of years. Nat Russell was also a pupil of Billy’s as were a great many other excellent pipers across Northern Ireland. He was a fantastic tutor with a real talent for teaching music in a positive and constructive way. Billy had a warm, friendly and big personality that matched his stature as a man. He took the time to welcome every new member to FMM personally and had a keen interest in the development of the band’s younger players. 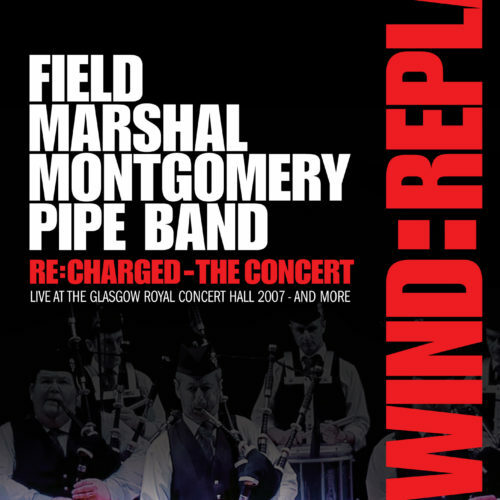 His famous mantra – “keep your bag tight and mind your parts!” – is ingrained in every FMM piper past and present. 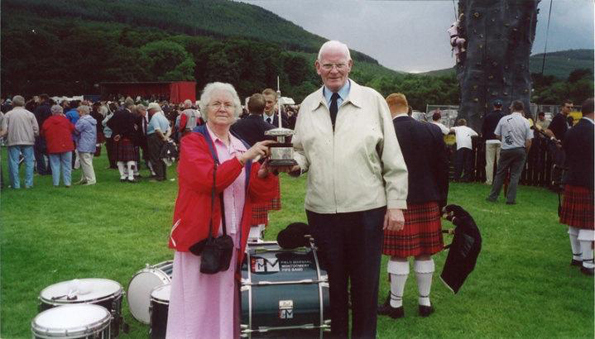 Since retiring from playing Billy remained a tireless supporter of FMM and pipe bands generally in Northern Ireland. 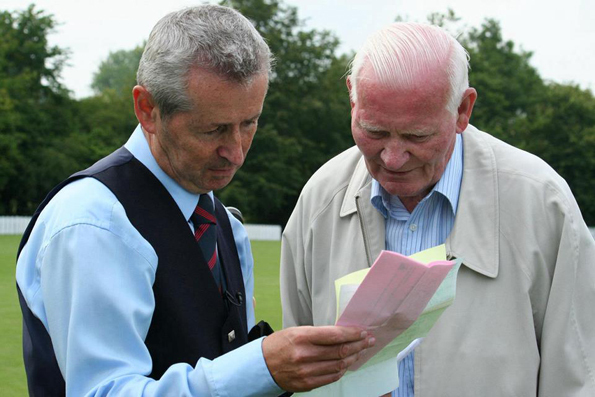 He had an enormous influence on me providing guidance and advice from the moment I took over as Pipe Major right-up to the present day. Seeing how proud he was to carry the Argyll Shield through the streets of Dunoon in 1990 following the band’s first major championship win and his delight when the band won the Worlds – something he remarked was “not bad for a wee band from the country” – are memories that I will cherish. 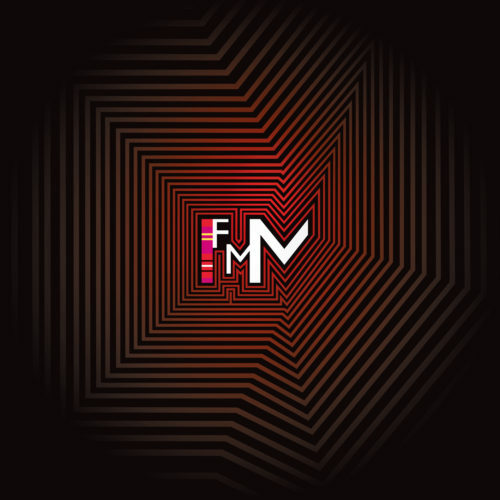 Billy was part of FMM from the very beginning. He never left. As long as there is a FMM his influence and legacy will remain. FMM and the piping community across Northern Ireland and beyond would like to extend our sincere condolences to Heather, Dorine, Neil and Ian along with Billy’s wider family and friends at this time.